I really hope Obama brought some books with him to Martha's Vineyard, because reading the newspaper is going to ruin his vacation. Over at Politico, Mike Allen and Jim Vandehei have a piece arguing that Obama may have tried to do too much, too fast and, as a result, will do nothing. Meanwhile, the New York Times's Peter Baker has an essay drawing a parallel between the situation LBJ, the Great Society, and Vietnam and Obama, health care reform, and Afghanistan. These come on the heels of Paul Krugman's betrayal accusation to kick off the weekend. And those are just the analysis pieces. Every day's straight-up news seems to bring some other setback, like today's, which included various Senators--Republicans and Democrats--taking to the Sunday shows to urge Obama to shelve his most ambitious legislative plans in favor of smaller measures. 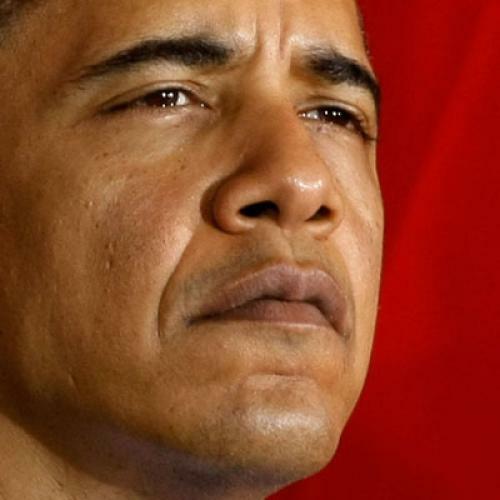 Six months into Obama's presidency, is it already over? Progressives are waiting for Barack Obama and his team to work the kind of political magic they seemed to work in 2008--except when they didn't. Cutting through all the mythologizing of the Obama campaign, the real keys to his stretch-run success last year were his legendary calm ("No Drama Obama"); his confidence in his own long-range strategy; his ability to choose competent lieutenants and delegate to them abundantly; and his grasp of the fundamentals of public opinion and persuasion. There was zero sense of panic in the Obama campaign itself late last summer, because they stuck with their strategy and organization and didn't let the polls or news cycles force them off the path they had chosen. The administration's demure approach should thus not be terribly surprising, nor a sign that it has lost its heart or its mind. Obama has not, presumably, lost the qualities he showed in the tougher moments of the 2008 campaign. As it planned its legislative agenda for 2009, Team Obama knew health care reform was going to be challenging, and also knew they could probably get away with blaming the economic emergency for paring it back or slowing it down. They decided this was the right time to act, and it's far too soon to assume they were wrong. I think this is right. Obama has earned the benefit of the doubt. That said, there is an alternative reading of his 2008 campaign which, while I don't really subscribe to, is worth mentioning. And that's that, in 2008, Obama was more lucky than good, that his vaunted long-range strategy was ultimately successful due to some events that the strategy didn't forecast. The first was the Des Moines Register poll that came out on the eve of the Iowa Caucuses and showed him with a 7-point lead over Hillary Clinton--a lead that, according to some pollsters, was much larger than what they were finding. The DMR poll became, in this alternative history, a self-fulfilling prophesy and propelled Obama to his campaign-defining win; had it not been for the DMR poll, the alt history goes, Hillary or John Edwards would have won. The second development was the economic meltdown in September '08, which couldn't have come at a better time, according to this alternative history, right when the McCain-Palin ticket was beginning to gain ground on Obama. It not only allowed Obama to change the conversation--away from Bill Ayres and toward the global economic collapse--but it highlighted his "no drama" approach, as McCain freaked out and suspended his campaign. Again, I don't necessarily buy this alternative history, but it is worth keeping in mind--especially since people (like me) who are not pushing the panic button right now aren't doing it, in large part, because of the faith they have in Obama due to his 2008 campaign. It's also worth keeping in mind because, despite all the focus on health care reform and climate change legislation and Afghanistan, it's quite possible, maybe even likely, that the defining issue/event of the Obama administration has yet to even occur. After all, it was just eight years ago this time that it looked like stem cell research might be the defining issue of the Bush era.